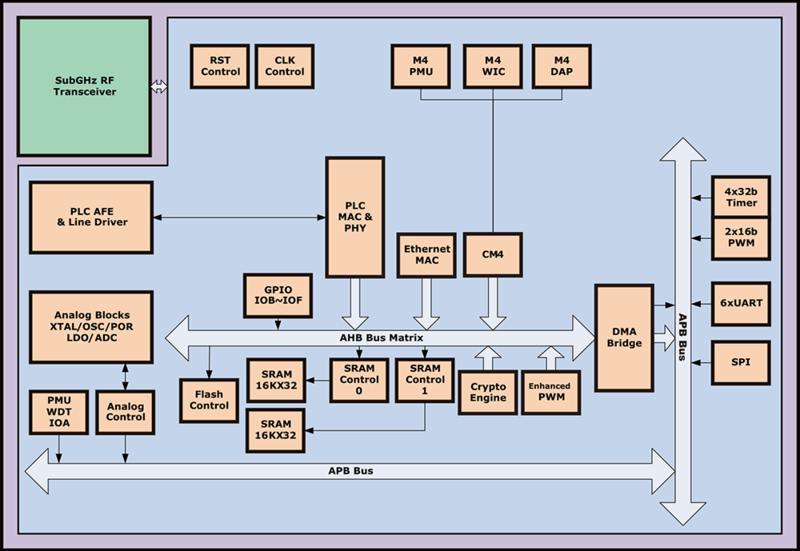 VC83X0 (VC8300/VC8320) is a dual mode Power Line Communication (PLC) processor with integrated sub-GHz RF Transceiver. VC83X0 incorporates one 32-bit ARM Cortex M4 MCU, one 32-bit DSP, one embedded Flash memory, 6 UART interfaces, one SPI interface, one 10/100M Ethernet MAC, PLC MAC/PHY layer functions, Analog Front-End (AFE) and high current Line Driver. VC83X0 supports multiple modern narrowband and broadband PLC standards for Smart Grid and other IIoT applications. In cooperation with the integrated high performance sub-GHz RF transceiver, VC83X0 delivers the optimum dual-mode (PLC + RF) hardware platform for AMI networking in Smart Grid connections. 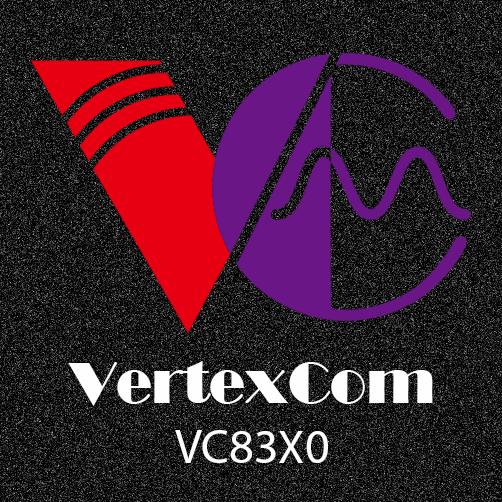 On top of VC83X0 Vertexcom’s mesh software stack based on hop-by-hop PLC/RF transmission media selection provides the most effective solution to solve coverage and reliability difficulties encountered in a complicated outdoor environment. 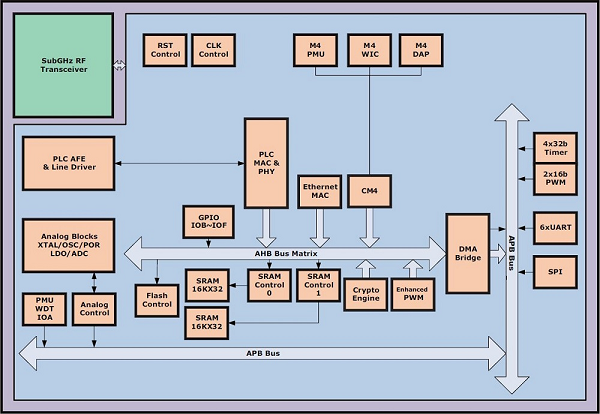 Seamless integration of PLC and sub-GHz communication.